Details of active research projects being undertaken by postgraduate researchers within the Steels Processing Research Group. Since the first steelmakers emerged in Asia approximately 1300 years ago, steel has been used to shape the world. ​Liberty Speciality Steels (LSS) continues this heritage by producing high quality steels for Aerospace and Industrial Engineering markets, including the popular 300M grade for aircraft landing gear. Unfortunately, product properties and quality can be detrimentally affected by non metallic imperfections such as oxides, sulphides and silicates known as inclusions. The aim of this project is to work towards introducing process monitoring or otherwise modify existing process monitoring techniques to advance current understanding of the link between product quality and processing parameters in the Aldwarke Cast Products (ACP) division of LSS. More specifically, the team behind the project aim to exploit the opportunity to build on current levels of product quality across aerospace and bearing steel grades to achieve a greater level of cleanness. The steel industry is facing significant challenges in achieving and sustaining competitiveness, such as strict environment regulations, new energy sources, global overcapacity, and competition from other materials. In particular, for the European steel industry, the EU target of the 80-95% reduction in CO2 emissions by 2050 compared to 1990 for European industry is far beyond the reach of the steel sector. To create an industry that will be sustainable for the future, extraction of metals needs to be lean in energy, low in carbon footprint and flexible with regard to raw material/energy sources. The use of low-cost & low carbon intensity natural gas can potentially reduce further the consumption of fossil fuel and the carbon footprint of the promising low carbon, low energy alternative iron making process under active development. This project aims to generate fundamental knowledge on the use of natural gas in a novel low energy, low carbon alternative iron making process. More specifically, it intends to advance the reaction mechanisms of natural gas with slag and metal in the alternative iron making process, and reveal the possibility of using natural gas in the process. This will be achieved by using specifically designed modern experimental techniques to study the reactions in the gas-slag-metal systems at high temperatures, carrying out thermodynamic and kinetic simulations for the systems studied, and characterising the samples and product gases generated with the aid of advanced characterisation facilities in the ASRC. High strength steels are used in industries such as construction, yellow goods and automotive. Residual stresses are often embedded into steel structures as a result of manufacturing processes such as machining, forming and joining. Residual stresses can be detrimental to the operational lifespan of a structure, causing premature failure. It is important that residual stresses can be assessed during and after manufacturing as well as when a product is in service. 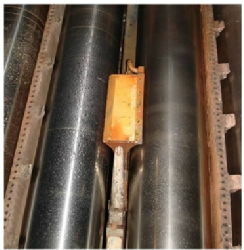 There are various methods of measuring residual stress, in this project we shall consider electromagnetic (EM) sensors as a non-destructive technique of analysing residual stress for ferromagetic steels. EM sensors work on the principle of electromagnetic induction, taking advantage of the properties of steel such as magnetic permeability and electrical resistivity. It is known that stress affects the magnetic permeability of ferromagnetic materials through the principal of magnetostriction. It is therefore possible to deduce applied and residual stresses using EM sensors that measure measure properties related to changes in magnetic permeability. EM sensors do not need to make contact with the samples, they are fast in response and inexpensive to set up allowing fast measurements without the need for a clean surface. This project will investigate the capability of EM sensors to measure residual stresses occuring in thick gauge strip steel structures that are used in the construction and yellow goods industries. Microstructure and EBSD map for non-grain oriented electrical steel. The rapid expansion of the electric vehicle motors market and continued expansion in electrical infrastructures is creating a strong demand for electrical steels. Tata Steel has scope to become one of the world's leading electrical steel suppliers, considering its high quality and technical capability. To obtain the best electromagnetic properties (core losses, permeability, etc.) for electrical steel products, especially non-grain oriented (NGO), the microstructural texture needs to be carefully controlled. Current methods to examine the texture include EBSD and XRD. However, these methods measure a limited size of the material, which may not be representative for an entire coil, these methods are highly time consuming and cannot be easily applied on-line during production to monitor texture development. The production of electrical steel involves many processing stages. It is extremely difficult to optimise the final texture without tracing the development of texture through the manufacturing process. Electromagnetic (EM) sensors, such as EMspec(TM) are sensitive to changes in permeability and resistivity in steel, which are known to be affected significantly by crystallographic texture. EMspec(TM) is currently employed in the hot strip run out table in IJmuiden for phase transformation monitoring. Feasibility studies carried out in a Tata Steel sponsored PhD project showed that laboratory based EM sensors could detect the differences in permeability with orientation to the rolling direction in electrical steels, although no quantitative investigation was carried out. Therefore, EM sensors offer the potential for texture characterisation in electrical steels in a rapid, non-destructive manner with the scope for on-line, through process, texture characterisation. The knowledge obtained from this project can be directly applied to optimise processing parameters at various stage of the process. In addition, the proposed project will align with a proposed EPSRC project ''Real-time In-line Microstructural Engineering (RIME)'' being developed by the Universities of Warwick and Manchester. Primetals Technology Limited and Tata Steel, which will focus on using EM sensor data to allow for control of microstructure development in structure steels. The project also fits with company strategy to support UK-based research and production (including the hot rolling mill in Port Talbot, Cogent processing lines in Orb, South Wales, and Suraharmmar, Sweden). Recently, metallurgical risk factors have been identified in P91 steels. These risk factors contribute to accelerated development of damage under multiaxial states of stress. There is a need to establish robust procedures using available quantification techniques using a range of SEM and TEM characterisation methods which can identify these risk factors for statistically relevant datasets to assist life management of existing assets as well as provide recommendations to industry for improvement in the quality of the end product form. This project will analyse and evaluate ex-service/tested samples in order to link particles in the steels, which can include inclusions, intermetallic phases, tramp elements or carbonitrides, to the observed creep damage and failure, and will include linking the relevance of both surface-breaking and subsurface assessments. Steel is one of the largest materials manufacturing industries globally (second only to concreate) with over 1.6 billion tonnes produced in 2017. The blast furnace-basic oxygen furnace (BF-BOF) and the electric arc furnace EAF are the two most dominant process routes used in steel production, together they count for more than 99% crude steel production. Iron-making is an energy intensive process and it counts for overall 8% global CO2 emissions. Stringent environmental legislations such as a reduction target of between 80-95% CO2 emissions compared to the 1990 baseline, have forced major industries into an age of innovation and refinement. HIsarna is a promising alternative ironmaking technology under active development. It has the potential to reduce CO2 emissions by 40% without CCS and 80% with CCS. The aim of this PhD project is to advance fundamental understanding and provide recommendations on physical and chemical characteristics (properties) of different carbon sources (thermal coal and biomass) for the use in the novel alternative ironmaking process. The project will reveal the reactions of different carbon sources with slag and metal systems at high temperatures. This will be achieved by using the specifically-designed modern experimental techniques to study reactions in the gas-slag-metal systems at high temperatures, carrying out thermodynamic and kinetic simulations for the systems studied, and charactering the samples and product gases generated with the aid of advanced characterization facilities in the Advanced Steel Research Centre. There is a market requirement for a high strength, hot rolled steel with high levels of Charpy toughness and ductility, particularly for yellow goods such as cranes and earthmovers. An important step in developing the commercial strip steel product is gaining an understanding of the link between composition/processing/microstructure and properties. The microstructures in these steels are complex mixtures of bainite and martensite, and require SEM (and possibly more advanced techniques) to allow full quantification. Additional heat treatments after rolling (tempering) have been shown to improve the strength/ ductility balance, but the mechanism behind this phenomenon is not clear; therefore there is a need for quantification of the microstructural changes associated with these heat treatments, and an understanding of the relationship between ductility and microstructure. In addition, the Charpy impact toughness has been marginal in terms of meeting customer requirements for thicker strip material; it is important to identify the optimum microstructure for good Charpy toughness. This will involve establishing the best balance between microstructural components such as bainite and martensite for good Charpy toughness, and also examining the role of Ti (particularly large TiN particles) in brittle fracture nucleation. Work will also be required to establish the role of processing conditions on microstructural development, in particular how processing conditions such as coiling temperature and finish rolling temperature influence transformation behaviour. 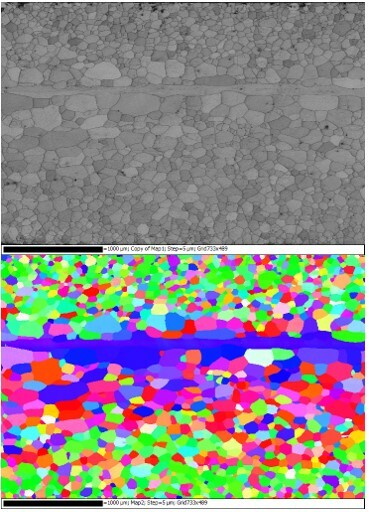 EBSD IPF images of CR50 steels heat treated to respective Ac1 below temperature at heating rates of 0.2 0C/s, 0.9 0C/s, 7 0C/s, and 50.5 0C/s. The development of light weight Advanced High Strength Steels (AHSS) has enabled automotive industries to simultaneously increase crash worthiness and fuel economy of the modern day vehicles. Among all the AHSS steels developed, Dual Phase (DP) steels are extensively used in automotive industries because of its relatively low alloying costs, easy processing routes, excellent combination of strength-ductility, low yield strength to tensile strength ratio and high work hardening index. Even though the term DP suggests a simple two phase ferrite and martensite microstructure, in actual industrial processing routes a complex microstructure forms behind the facade of its simple name. This complex microstructural features inherit the austenite microstructure, formed during annealing, and in turn have direct influence on mechanical properties of DP steels. Although there is basic knowledge on the austenite formation mechanism and the influence of ferrite recovery and recrystallization on it, there are still many unanswered questions and also lack of quantification of these mechanisms. At the same time this overlap of mechanisms is becoming more apparent in the modern day manufacturing routes because of the increase in Titanium/Vanadium alloy additions (precipitation strengthening) because of their retarding effect on ferrite recrystallization. Therefore the need for complete knowledge with a detailed quantification of these mechanisms is important in evaluating the crucial compositional variations and annealing strategies in developing micro-alloyed DP steels with desirable mechanical properties. Study the effect of heat treatment on microstructure and mechanical properties of cold rolled DP steels. Investigate the influence of inclusions and precipitates on the microstructure formation in micro-alloyed DP 900 steels. Effect of cold rolling and heat treatment on strain induce precipitation in DP 900 steels. The effect of these microstructural evolutions on the consequent mechanical properties will also be studied. Later with help of the quantified data a model could be developed on the industrially relevant heat treatment cycles. EBSD misorientation map showing the strain partitioning effect into the grain structure at heavily deteriorated cut edge. Electrical steel is an excellent magnetic soft material that has specific desired magnetic properties: such as low losses, and high permeability. There are two types of electrical steels, grain oriented (GO) and non-grain oriented (NGO), for two main applications: transformers and rotating machines. Grain oriented electrical steels have excellent flux-magnifying properties in certain direction, therefore GO electrical steel are used as the cores of transformers where high rates of flux change can be achieved to construct the efficient transformers. Non-grain oriented electrical steels have excellent isotropic magnetic properties, which give improved magnetization ability in any spatial direction. Thus, NGO electrical steels are used to construct the rotor and stator cores of the electric motors. 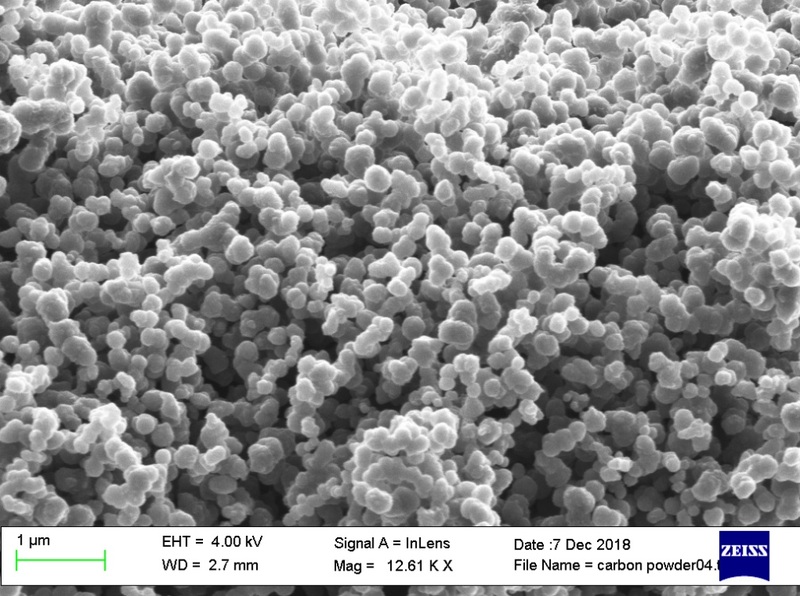 Microstructure controls the intrinsic materials properties of NGO electrical steel, with texture and grain size being the most influential parameters. Stress / strain and temperature affect the magnetic properties of the material and it is known that during manufacturing of NGO electrical steel stators and rotors, mechanical cutting or shear cutting can introduce plastic shear stress and residual stress into the material. The working environment of NGO electric steel in motors also involves additional (elastic) stress levels and temperature change. Current motor designs make assumptions and simplifications to account for the above factors, which causes inaccuracy in performance prediction with larger performance fitting factors. Therefore, the focus of this work is on how the variable magnetic properties due to differences in microstructure and environment can be modelled, both in a microstructure magnetic model and in a component level model, which could be included in motor designs. This project’s research focus is on NGO electrical steel in an electric motor, in particular the influence of microstructure (grain size and texture), component processing (cutting / stamping) and operating conditions (stress and temperature) on the magnetic performance. Image shows a steel pellet (light grey) with an inclusion placed in the middle (dark grey), filled with iron powder (medium grey) and a stopper. Non-metallic inclusions (NMIs) cause various defects in steel. Reactions between NMIs and liquid steel in the continuous casting mould directly affect inclusion behaviour. There is a lack of kinetic information on the NMI-steel reaction. The inclusions in steel are small particles of reacted mould slag and or reaction products from steelmaking processes. Mould slags are molten oxides (with or without fluorides) that are used to control the lubrication and heat transfer during the continuous casting process. Removing the NMIs from liquid steel in the continuous casting process is critical to reduce steel defects and produce high quality steels. This project is developing a novel approach by combining High Temperature Confocal Laser Scanning Microscope (HT-CLSM), X-ray Computed Tomography (XCT) and advanced characterisation techniques to study the kinetics of the NMI-steel reaction. The knowledge created will be used to predict the residence time of the inclusions in the molten steel in the continuous casting process, which will help validate CFD models and optimise fluid flow in the mould. Ultimately it will help produce clean steels by accelerating the removal of NMIs from liquid steel. Recycling of Al is gaining importance in automotive and aerospace industries. Presence of iron in Al alloys hinders the application of recycled alloys in automotive and aerospace. Iron in aluminium alloys will be present as hard and brittle intermetallics which hampers the mechanical and performance properties. So, it is essential to understand the behavior and effect of iron intermetallics in order to make them useful for industrial applications. The aim of the project is to characterise the effect of iron content on the microstructure and mechanical properties of Al alloys. We seek to use DFT modelling to design an optimal smooth hardness transition zone (Red) for heat treated materials. Avoiding sharp decreases in hardness which can result in the 'egg shell effect' (Black), or scenarios where the surface hardness barely differs from the core hardness rendering the treatment redundant (Blue). The application of heat treatment methods, such as Nitriding and Nitrocarburizing, increase resistance against wear and corrosion for iron surfaces, whilst maintaining ductility in the core metal. Such properties are, in essence, achieved as a result of the iron being left with a hard surface and a soft interior after treatment. Problems can occur when the transition from the hard surface to the soft core does not happen over sufficient depth, so that the hardness profile of the iron contains sharp decreases. In particular, a prevalent issue in heat treatment is the so called ‘egg shell effect’, where the hard brittle surface resulting from heat treatment lacks sufficient support, and hence will fracture under relatively low impact. Models that accurately predict hardness profiles given heat treatment parameters and microstructural details of the material to be treated could reduce the occurrence of such undesirable effects, as they allow for finer control over the so-called hardness transition zone. This project seeks to adopt Density Functional Theory (DFT) to initiate a new wave of robust modelling options for Nitriding and Nitrocarburizing. Although DFT requires considerable computational effort, it appears to have advantages over the phenomenological and empirical models in current use. For example, the effect of point defects (primarily vacancies) and nitrogen displacement by carbon are thought to have a significant effect on nitrogen transport during treatment, but these effects have yet to be incorporated into existing models. This could be because reliance of empirical data at the macroscale in order to model microscopic effects is inherently problematic, as existing data can deviate from theoretical predictions, and experiments to generate new data are costly. In contrast, poorly understood atomic level effects could be incorporated into models in a natural manner using DFT, as it can be used to simulate microscopic events such that their influence at the macroscale can be directly interpolated. This approach should lead to more advanced modelling options for heat treatment processes, which could then be advantageously be adopted at the industrial level. The production of steel for line pipe applications involves a number of connected process stages including casting, reheating and hot rolling followed by transformation on cooling, each of which affects the final microstructure and hence properties. To ensure that optimum steel properties are produced in a cost effective manner it is important that accurate models are developed for the entire process. This project involves the building of a physical 3D integrated through process model for the description of various key metallurgical processes - segregation (casting), recrystallization (hot rolling) and precipitation (rolling and cooling). The work builds on current separate, mostly 2D, models for the individual processes by connecting the process variables, especially grain size distributions which link to the toughness properties in the final product microstructure. A three-dimensional Cellular Automata (CA) model is being developed to link the key models at each stage as this can take into account full grain size distributions and morphologies as well as spatial inhomogeneity. Existing models are typically based on average quantities, for example, the average grain size for hot rolled steel strips can characterise tensile properties to a reasonable degree of accuracy, however, they cannot accommodate the more complex mechanical properties including toughness and formability in high strength grade pipes. Hence, the need for a physical 3D integrated through process model. The first stage in the model development is to establish correct representation of the 3D grain structure in steel for input into the CA model, which is being accomplished using a Voronoi approach. It has been found that the Voronoi distribution accurately represents the average grain size but development is required to represent the full distribution to achieve the expected lognormal shape. The influence of segregation during casting will be achieved by considering the impact of the compositions and temperature on the secondary dentrite arm spacking for spatial composition, which will then affect precipitate formation grain growth on reheating. The 3D reheated grain size and spatial composition will then be used as input to the deformation stage where recrystallisation models will be incorporated to describe grain size refinement. The final grain size after recrystallisation is a controlling factors for the subsequent transformation stage which is when austenite transforms to ferrite. The novelty in this project is to introduce a 3D approach for describing the solidification process and the reheating stage and then to combine this with the 3D approach for deformation (the recrystallisation stage) and transformation. Hot-stage SEM-EBSD allows to observe instantaneously microstructural changes such as recovery and recrystallization during annealing. Recrystallization behaviour and final texture development depend upon annealing parameters, including heating temperature, heating rate, and dwell time. In the present research, cold-rolled low-carbon steel is annealed at a constant heating rate inside a heated stage of a SEM-EBSD microscope. The response of the material to annealing is studied at different temperatures. At low temperature, almost no recrystallization is observed and the microstructure resembles the as-received deformed material with exception of occasional sub-micron sized nuclei at locations with highest dislocation density. With an increase in temperature and dwell time, the onset and evolution of recrystallization is observed in-situ as a function of the initial as-cold rolled texture. 2D Orientation Distribution Function (ODF) texture analysis, Inverse Polar Figure (IPF) and Local Average Misorientation (LAM) maps are obtained from Channel 5 software (Oxford Instruments) and studied in detail to understand qualitatively the microstructural changes and role of textural components before and after annealing. Site specific high-resolution TEM on recrystallized material is applied using FIB lift-out foils of 200 nm in thickness. From TEM size and distribution of particles is studied and their effect on retardation of recrystallization kinetics. Later some mechanical tests such as tensile and hardness will be done to study stress-strain and hardness behaviour respectively. The manufacturing of electrical steels follows a series of processes consisting of continuous casting, reheating, primary descaler, roughing, and the finishing mill and coiler. During the initial reheating process, the steel is heated up to a temperature of 1260oC, where it undergoes microstructural and surface changes. One of these changes is the formation of a thick oxide layer that must be removed as failure to do so would be detrimental to the integrity of the steel. These oxides can be observed external as well as internal, which can have a harmful effect on the final performance (surface and subsurface properties) of the steel. The formation of these oxides is dependent on atmospheric conditions, alloy composition, surface state and oxidation which contribute to the oxide growth rate and morphology. The current conditions do not achieve the desired oxide scale properties required for removal. The project will analyse the high temperature oxide growth behaviour of electrical steel containing silicon and aluminium by studying how the process parameters in the reheat furnace influence the kinetics and development of the oxides on three steel grades. This will then be followed by a study of the descalability and regrowth of secondary scale on the steel upon cooling. The aim is to further understand the oxidation mechanism and rate, and examine the oxide morphology (internally and externally) and scale/metal interface of the steels. In addition, by observing the mechanical properties of the oxide scale, the descalability of the oxide scale will be studied. Sustainability is a key issue for modern steel industry as pressures from governmental and environmental bodies have led to a desire for a more sustainable steel manufacturing process. However, due to the nature of the production of iron and steel, the industry is a carbon intensive process. Each step requires high levels of carbon this is why iron and steel making contributes to 650 million tonnes of CO2 per year. This amount of carbon emission is unsustainable for the Steel making industry and has led the EU to issue a challenge to cut emissions by 80% by 2050. HIsarna is an emerging alternative iron making process that has the potential to cut direct CO2 emission by up to 35% or 80% with added CCS (carbon capture storage). As the process is under development there is need to create fundamental knowledge to aid the progress with its production. The CCF (cyclone converter furnace) incorporated into HIsarna offers an area of study of the interaction of flux and ore under a reducing atmosphere. Studying the reactions under these conditions including a range of different industrial material will give valuable information. The study will include different flux material such as dolomite and lime. As well as ores, both pre-reduced and unreduced to imitate the HIsarna CCF. The results should improve the working of the process and improve its advantage of flexible material use. The final step of the steel manufacturing process if the coating step. Steel is commonly coated with zinc to prevent corrosion and to increase the product lifetime. The zinc acts both a sacrificial and barrier anode, preferentially corroding instead of the underneath steel. Within industry, the most common coating method is hot-dip galvanising (HDG). This uses a molten zinc bath which the steel is passed through. Contamination of the surface of the steel, for examples oxides affect the adhesion of the zinc onto the metal. This severely reduces the effectiveness of the zinc and subsequently corrosion still occurs. The steel grade at the focus of this project is a high-strength, high silicon steel. This steel offers a high strength to weight ratio, which is becoming more desirable in the automotive industry. When these steels are annealed, the atmosphere used causes the alloying elements (Si and Mn) to oxidise on the surface. The oxides form in islands which subsequently have a detrimental effect on the wettability of the zinc to the metal. As well as this, any coating that is formed is thick and dull in colour. This is due to the intermetallics, mainly the delta phase being more diffuse as a direct result of the increased silicon content within the steel. The aim of this project is two-fold. The first aim is to examine the effect of argon sputtering to remove the aforementioned oxides. Following this, physical vapour deposition (PVD) will be looked at as an alternative coating method to hot-dip galvanising. PVD is done under vacuum and involves the zinc being vaporised via an induction coil, and then sprayed onto the steel. The two coating methods will be compared following sputtering to ensure the best coating properties. Forensic science is a large area spanning almost all areas of science and technology, from fibre and hair analysis to the analysis of digital photographs. Without such a wide source and application of knowledge understanding the origin of material or the course events would become difficult, unreliable, or at worst impossible. Forensics remains a technically complex challenge for the scientific community. Successful forensics work, especially as part of an attribution process, relies on multiple approaches but must not be comprised by contamination during handling. 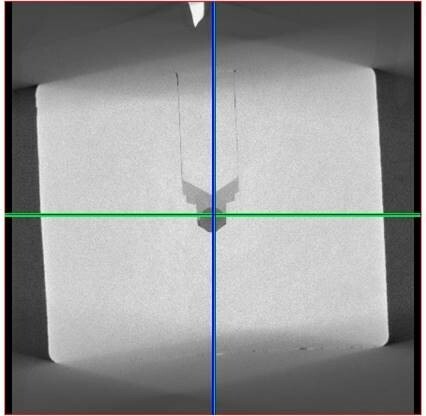 The objective of this research is to apply electron microscopy techniques to the existing analytical protocol on RDD debris. One of the biggest challenges is minimising cross contamination on the bulk scale and during extraction and analysis of single particles of interest. Bulk analysis provides an overall compositional measurement, but if the material is inhomogeneous, then the critical features may be obscured. The presence and concentration of trace constituents and isotopic signatures are often vitally important. Nuclear safety is an international topic and the characterisation of nuclear debris must answer a number of questions. These are both morphological, ranging from the particle shape to whether it is coated, and chemical such as the presence of trace contaminants and isotopic ratios and signatures. Identifying the key features to distinguish particle types, and developing analysis protocols while minimising handling contamination is the scope of this project. The project will apply advanced microanalysis tools to qualitatively or semi-qualitatively characterize individual components of a bulk surrogate material. These will include SEM-EDX, focused ion beam-SEM and surface analysis. A high amount of Al (~7 wt%) and Mn (~6 wt%) in low density FeMnAlC steels make them very different from the conventional steels. The highly alloyed Al and Mn particularly influences the ability of galvanising because of the formation of more stable (Mn,Al) O type oxides. Therefore, the coating ability of FeMnAlC steels will be different from the conventional steels. In addition, the Al in the steel may also react with N, which can be present as an impurity in the bulk steel or in the gas-atmosphere in which the steel is cooled, re-heated and rolled. Aluminium nitride precipitates could affect the coating ability and result in detrimental mechanical properties. This project aims to investigate the surface microstructure and its effect on coatability in ferritic and duplex LDS alloys with composition ranges being Al 2 to 10 wt% and Mn up to 6 wt%. To develop a fundamental understanding of the selective oxidation behaviour of low density steels with high Al and low to medium Mn in annealing atmospheres. To understand the formation mechanism of nitride inclusions in annealing atmospheres. To investigate the effect of the selective oxides and nitride inclusions on the coating behaviour and surface quality. The outcome of the project will be the gained knowledge of the surface evolution in high Al steels under conditions relevant to industrial conditions. This should aid in the strategic goal for developing coated LDS. Figure showing that we aim to develop a linkage between the fluid flow results from numerical modelling and the final solidification structure. The objective of the study is to investigate the effect of the fluid flow (convection) on the dendritic structure and hence gives an impression about the influence of the flow field on the overall microstructure in a solidified steel slab. Therefore, we aim to elaborate a better connection between the local composition of dendrites during solidification and its effect on the overall grain structure (and the possible danger of segregation) in the final product of the continuous casting process. It is a well-known fact that the dendrite growth direction in a flowing melt tends to bend towards the upstream direction leading to a curvature that points towards the region in the mould, where the material solidifies at the latest. The mechanisms responsible for this bending are mainly due to difference in temperature and concentration gradients occurring at the solidification front. For free dendrites, that is for a pure metal and growing in an undercooled substance, the thermal field around the dendrite tip determines the growth direction. The temperature around the tip in the downstream direction is higher than in the upstream direction due to the latent heat released on the surface. For columnar dendrites, that is for an impure metal and growth with a positive temperature gradient, the solute volume around the dendrite tip plays an important role in determining the growth direction. It is particularly important from an industrial point of view to correlate the dendritic deflection behaviour with fluid flow so that one can tune the casting process parameters to achieve the desired solidification structure. The methodology will involve development of solidification model coupled with fluid flow backed up by experimental verification. The ability to non-destructively characterise metal microstructures in-situ during hot processing offers enormous advantages to metals producers for dynamic feedback control and optimisation. Hot rolling and controlled cooling during steel production is used to develop the desired microstructures and currently feedback is achieved via temperature measurement coupled to mill models to indirectly determine microstructure development. The ability to directly measure microstructural parameters on-line therefore represents a significant step forwards; in this project electromagnetic (EM) sensors for on-line inspection are considered. EM sensor signals are sensitive to changes in the relative permeability of a steel sample, where the relative permeability is determined by the steel microstructure, temperature and presence of applied or residual stresses. EM based sensors are currently used in the steel industry to assess the condition of strip steels off-line or in mill locations where the strip is cold. Primetals Technology Limited is currently developing an EM system for hot steel inspection, with systems being trialled in the cooling zone after hot strip rolling for phase transformation fraction measurement. The key to developing this technique in the industrial environment for a broader range of microstructural characterisation is to understand and interpret the meaning of the EM sensor signal in the context of the steel microstructure. This is not straightforward, as it has been demonstrated that a number of microstructure constituents influence the measured signal. For example grain size, precipitates, texture, phase balance and distribution. In addition, when considering plate and sections the influence of non-uniform through thickness microstructure (and temperature for in-situ testing during hot deformation or cooling) needs to be considered. (a) Schematic of the Scanning Electro-Chemical Cell Microscopy (SECCM) set up. (b) SEM image of an SECCM scanning area. (c) Tafel plots of individual scanning points on highlighted line in (b). Corrosion is an age-old problem that continues to plague modern society. It has well-known detrimental effects on human health and environmental safety, in addition to being a great economic burden worldwide. Indeed, it has been reported that 3-4% of global GDP is spent on issues caused or related to corrosion. Corrosion is caused by the formation of local cathodic/anodic sites or “corrosion cells” on a metal surface, which arise due to the presence of local heterogeneities (e.g., grains of different orientations, grain boundaries, inclusions and surface defects) that exhibit different electrochemical behaviour when exposed to a corrosive (electrolyte) solution. Despite being an area of ongoing and active research, the corrosion mechanisms occurring at these heterogeneities are not completely understood, largely due to the highly localised nature of these features. Corrosion is traditionally studied with macroscopic electrochemical techniques (e.g., cyclic polarization and electrochemical impedance spectroscopy), carried out on polycrystalline metal surfaces on the millimetre to centimetre length scale. 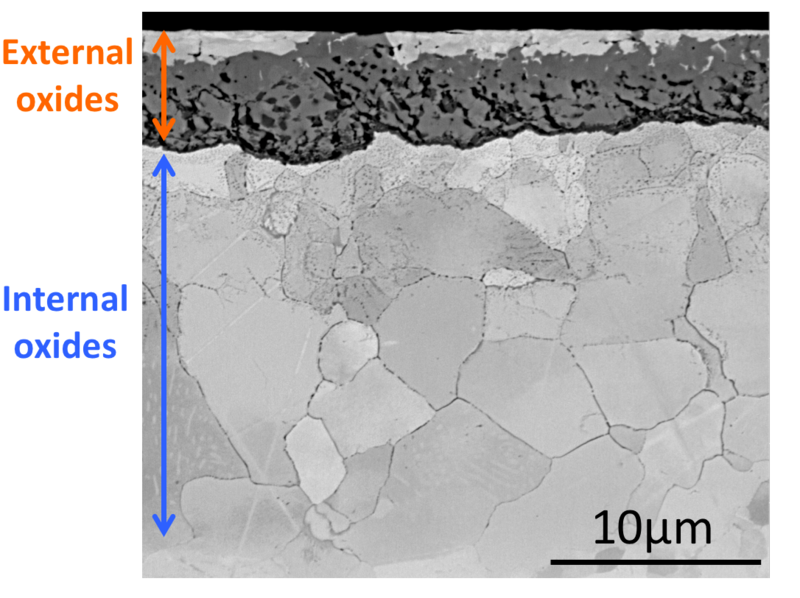 The response measured from such an experiment is an ‘average’ of the entire exposed surface and thus do not provide any local electrochemical information, which, as highlighted above, is crucial for understanding the role of certain surface features in the overall corrosion process. For this reason, in recent years, there has been a drive to develop localized techniques that are able to extract spatially resolved electrochemical (i.e., corrosion) information on the nanometer to micrometer length scales. previous success in other fields, it follows that SECCM should be the ideal tool for carrying out direct micro- and nanoscale corrosion measurements, particularly when used in conjunction with other microscopy techniques in a correlative multi-microscopy approach. This project investigates the suitability and potential of SECCM as a tool to investigate highly localised corrosion mechanisms with the long-term aim of applying the method to industrial interests, for example, testing the effectiveness of steel coatings. Lightweight materials are of growing importance in automotive applications to meet the challenges of fuel efficiency and CO2 emissions. Therefore, steel is facing a great challenge from aluminium and magnesium alloys. Fe-Al & Fe-Al-Mn based low density steels that are defined as Advanced High Strength Steels (AHSS) are being considered. Fe-Al & Fe-Al-Mn alloys typical consist of aluminium in the range of 3-12% with low amounts of carbon. The presence of aluminium in steel significantly reduces the density of the steel. The concept looks simple, but there are lot of challenging issues to be understood, for example chemical containing reactivity in the liquid state, solidification behaviour, cracking during casting and hot rolling, high temperature oxidation etc. Since the amount of aluminium is high, the steel will have a tendency to form oxides and nitrides etc. which would affect the casting and solidification conditions. Oxide inclusions in steel melt are harmful and lead to problems in process control and product quality in steel castings. Oxide inclusion is usually a result of unwanted mechanical or chemical interactions between the molten metal and its surroundings in the refractory containers. The evolution of the oxide precipitates in steel melts, in terms of structure, is an important issue, since oxide size is known to be an important factor in mechanical properties of the final steel. It was also observed that different morphologies of oxides and nitrides were formed at different oxygen and nitrogen levels. The formation of oxides and inclusions alter the melt physical properties is essential for improving the physical, mechanical and performance properties of these steels. In this project, the basic objective is to determine the thermophysical properties of Fe-Al & Fe-Al-Mn alloys in terrestrial conditions and compare them with the thermophysical properties under micro-gravity conditions where there will be no convection, no chemical reactivity and no oxygen- effect. The first stage of the project is to measure the thermophysical properties of Fe-Al & Fe-Al-Mn alloys at different aluminium concentrations and temperatures above the liquidus temperature in terrestrial conditions. Further, these alloys will be characterised to understand the microstructure and mechanical properties. The same set of alloys will be used to determine the density and viscosity in micro-gravity conditions under controlled oxygen environments. These alloys after being tested at ISS, will be characterised to understand the microstructural changes to micro-gravity. 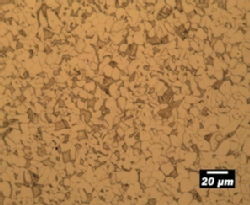 Optical micrograph of a dual phase steel, DP600, microstructure consisting of a matrix of ferrite and islands of martensite. It is important to be able to detect microstructural changes in the production line during steel processing as the mechanical properties of steels are linked to their microstructure. Parameters such as grain size, phase balance and precipitates play a vital role in controlling the properties of steel. Conventional characterisation methods for microstructures, such as optical microscopy, scanning electron microscopy (SEM) and transmission electron microscopy (TEM) are generally destructive, requiring a small sample to be taken, and time consuming, due to the sample preparation processes and image analysis especially when a quantification of the phase fractions is required. Electromagnetic (EM) sensors are a nondestructive method that has been shown to be able to measure the ferrite and martensite phase fractions in dual-phase steels, figure 1. Correlations between the EM sensor signal and mechanical properties (tensile and yield stress) have also been found for a limited number of DP600, DP800 and DP1000 samples. However, a much larger range of samples needs to be studied to enable the development of a calibrated sensor that can provide quantitative measurements for the full range of DP steels. Such a sensor would allow a fast and cheap quantitative, yet non-destructive, evaluation of the phase fractions, from which both product development and quality control can benefit greatly. In addition, extending the technique to a broader range of steel grades, where other microstructural features (compared to ferrite and second phase fraction) provide a significant contribution to strength, requires greater understanding of the role of the different microstructure parameters on the magnetic properties, and hence EM sensor signal. This project will assess a wide range of laboratory heat treated and commercial DP steels, including considering variability due to small changes such as across strip width and between coils. Other steel grades, such as microalloyed and interstitial free steels, will also be considered. Ductile Ultra High Strength Steels (UHSS), the so-called third generation of Advanced High Strength Steels (AHSS), are increasingly used for automotive applications. However, the strengthening alloying additions in these steels may have consequences for the production of the final product. The internal oxidation zone (IOZ) formed initially during coiling of the hot rolled product will lead to surface defects of the galvanized steel sheet. This phenomenon is known to affect the formability of the steel sheet. This project focuses on simulation of the surface and subsurface deformation during the steel sheet forming process by using the in-situ 3-point bending stage and the digital image correlation (DIC) concurrently. The microscopic strain distribution and failure mechanism are monitored to establish a link between the near surface conditions and the formability of the final product. The internal oxidation depth varies within the steel coil owning to the uneven cooling rate at different locations. Samples with different internal oxidation depth are tested to find out the critical conditions that lead to failure during forming process. On the other hand, simulation of surface and subsurface reactions that lead to the formation of the internal oxides. The internal oxidation depth largely depends on the temperature, atmosphere, top surface composition and alloying additions. Rolling, hot coil cooling, pickling, cold rolling and annealing were simulated under lab conditions to create a better understanding of how internal oxides develop during the whole strip steel production process. Microstructural characterization, including EDS, EBSD and STEM, were used to determine the nature of the external and internal oxides that formed throughout the steel processing. Variable geometry (VG) and wastegate mechanisms are commonplace within modern turbochargers and contain critical components without which the correct and efficient operation of a turbomachine would be affected. Such mechanisms rely upon components repeatedly and accurately moving against one another, even when subjected to extreme conditions such as high temperatures, a range of exhaust gas chemistries and in dry conditions. Therefore, the materials used within typical VG and wastegate mechanisms need to possess corrosion and oxidation resistance as well as the required mechanical properties at high temperatures. Conventional materials with such characteristics, however, do not necessarily possess adequate friction and wear behaviour. Hence, there is a desire to investigate the benefit of using alternative materials, such as nickel and cobalt based superalloys, but their use in these applications is limited by their cost. A coated base alloy provides a wider pool of possible solutions and the ability to achieve a more cost-effective solution. • Compare and contrast a series of materials; that range from steels, Co-alloys, diffusion treatments and thin films, and rank them from a wear, friction and oxidation/corrosion perspective. • Understand material behaviour from a friction, wear and oxidation/corrosion perspective. The modification of the microstructure of aluminium-silicon alloys by trace level additions of modifying elements (Na, Sr, Ca, etc.) has been a subject of much interest ever since Pacz discovered this phenomenon in 1921. Addition of small amounts of certain elements, modifies the eutectic morphology of silicon from flake-like to fibre morphology. This morphological change results in significant improvement of mechanical and performance properties of the alloys. Several theories have been proposed to understand the modification mechanism, but still the mechanism is not clear. Most of the past research was carried out on Na based or Sr based modification of Al-Si alloys. 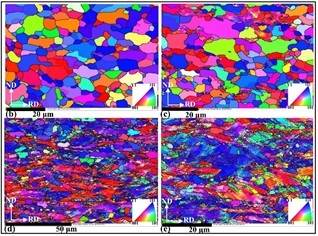 There are several other elements which could modify or refine the microstructure of Al-Si alloys and it is essential to understand the influence of these elements on grain modification and refinement not only to understand the mechanism but also to design and develop new alloys for automotive and aerospace applications. The objective of this study is to understand the fundamental mechanism of grain modification and refinement of Al-Si alloys with addition of small amounts of modifiers and refiners via an In-situ (synchrotron radiography and tomography) evaluation of eutectic morphology modification during solidification of these alloys. It is known that coal particles swell when subjected to temperatures above around 400 °C yet the effect of this swelling upon Blast Furnace operations has not been well studied. It is also known that the degree of swelling is dependent upon coal type therefore understanding the swelling behaviour of a particular coal and how that impacts upon the overall Blast Furnace process may be an important consideration in selecting the most cost effective coals for Blast Furnace injection. The Confocal Scanning Laser Microscope (CSLM) allows direct observation of individual coal particles as they are heated, revealing the transient swelling behaviours of the particles and enabling differences between coal types to be measured. This project aims to improve the understanding of how the swelling of coal particles impacts Blast Furnace performance. 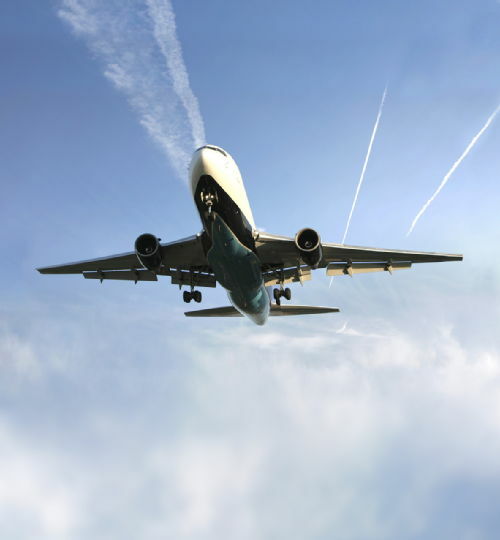 Aluminium Lithium alloys can offer 10-12% higher modulus with typically 10% lower density over conventional aluminium alloys, making them extremely desirable for use in aerospace applications. These advantages come at a price of considerable complexity when casting and either extruding or rolling to a final end use product. This is an Industrial collaboration between Aeromet International and WMG. We have successfully "in house" cast, heat treated , rolled and extruded a 2wt% Al-Li variant with the objective of improving an existing commercial product. A rectangular flat strip 35x3mm extruded product was chosen because it is ideal for mechanical property evaluation including crack formation and propagation energies using the Kahn tear test which are meaningful design parameter for high strength alloys. The new novel alloy was designed to have superplastic forming capability. This project has been successfully completed in the state of the art Advanced Materials Manufacturing Centre (AMMC).